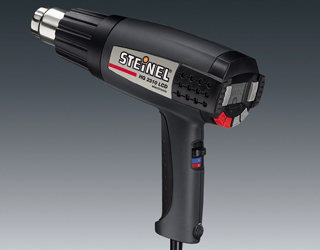 Powerful, electronically controlled professional hot air gun with continuously adjustable air flow and temperature control. The tremendous power of the HG 2310 LCD makes it suitable for all hot-air jobs. The precision temperature display permits work on materials that respond critically to heat. Professional, AT-HG2310 LCD 1. Visual Display of temp.